Microsoft Surface Book 2 13.5" (256GB, i5 7th Gen, 2.60GHz, 8GB) !! !NEAR MINT!!! 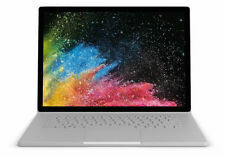 Microsoft Surface Book 2 13" i7 / 16GB / 1TB / GTX 1050 Warranty 9/26/2020! Surface Book. Standard Battery. Surface Pen. Original Box. Microsoft Surface Book 2 13.5" (256GB, Intel Core i5) - Flawless! It's been lightly used the past few months, but is in nearly flawless condition! Non smoker. Non pet owner. Runs VERY well - it's lightening fast and I love the flexibility of being able to use it as a tablet or laptop. New ListingMicrosoft Surface Book 2 13.5" (256GB, i5 7th Gen, 2.60GHz, 8GB) !! !NEAR MINT!!! • Microsoft Arc Touch Bluetooth Mouse. No visible scratches, smudges, or wear. Near mint condition! 5 out of 5 stars - Microsoft Surface Book 2 13.5" (256GB, i5 7th Gen, 2.60GHz, 8GB) !! !NEAR MINT!!! 1 product rating1 product ratings - Microsoft Surface Book 2 13.5" (256GB, i5 7th Gen, 2.60GHz, 8GB) !! !NEAR MINT!!! Condition is Used. Aside from the normal signs of use, there is a small hairline crack on the top left hand corner or the screen. It’s in the black border of the screen so it doesn’t affect viewing anything on the screen, but it’s there. Used, in good, working condition. Surface book is tested and works well. Specs are available in the photos and specifics. NO KEYBOARD BASE INCLUDED. This Surface Bookis tested and works perfectly. It is in Great Condition with only a few small screen scratches, they do not show up during use. Policy covers functional defects only. Surface book 2 is in great condition minus small ding on the backside of the keyboard assembly. Type: Notebook/LaptopBrand: MicrosoftProcessor: Intel Core i7 8th Gen.
128GB solid-state drive (SSD). Take your work virtually anywhere with the Microsoft Surface Book 2. Make: Microsoft. Q: Are Your Prices Negotiable?. Then, place a new order for the item of your choice. *NEW*Microsoft Surface Book 2 15" Tablet 256GB SSD 16GB RAM Intel Core i7-8650U. Condition is New. Shipped with USPS Priority Mail. Limited QTY. LAST 2 IN STOCK | ACT NOW! It is in Like New condition with no scratches or signs of use. It is under Microsoft Warranty until August 21, 2019. Policy covers functional defects only. 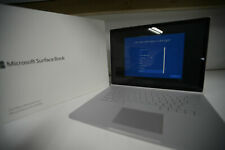 Microsoft Surface Book 2 - 13.5in. Condition is used, like new. Type: Notebook/LaptopBrand: MicrosoftProcessor: Intel Core i5 6th Gen.
Microsoft Surface Book 2 13.5" (512GB, Intel Core i7 8th Gen., 1.90GHz, 16GB).... Condition is Like New. The laptop is amazing, however, I prefer apple. I had in the Toast case ever since I got it, about 6 months ago, and has been is basically perfect condition. I will include the box, charger, and also will add the surface pen($100 value)! The price of the computer, new is around $2500, and I am putting if for much lower so please do not try to haggle a lower price. If any inquiries please feel free to contact me.. I am willing to accept return if the product is not what was in the photo, and is in bad condition but it is exactly as I said, like new condition, no scratches or anything. 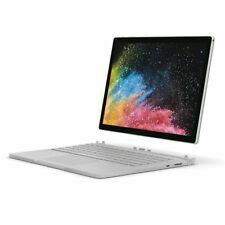 5 out of 5 stars - Microsoft Surface Book 2 (Intel Core i5, 8GB RAM, 256GB) - 13.5"
2 product ratings2 product ratings - Microsoft Surface Book 2 (Intel Core i5, 8GB RAM, 256GB) - 13.5"
Type: Notebook/LaptopBrand: MicrosoftProcessor: Intel Core i5 7th Gen. It's a bit too overpowered for my personal work needs. Its only been in just since November 2018! I'M GIVING AWAY A BUNDLE :D. • usb-c to hdmi adapter. It has 512GB of storage, 16GB of RAM, an i7 CPU, and a GTX 1060 GPU. I tried to take a few pictures of different angles for you to view and judge the overall quality of the unit by. I can take more if you need. Microsoft Surface Book 2, Intel Core i5, 8GB RAM, 256GB 13.5"
NEW Microsoft Surface 12.3"LJK-00002 Multi Touch NoteBook. One year warranty from Microsoft. Keyboard Type: Standard Notebook Keyboard. Base Clock Speed 1.9 GHz. Max Boost Speed 4.2 GHz. Optical Drive None. Brand: MicrosoftProcessor: Intel Core i7 8th Gen. Excellent condition, signs of use include visible minor scratches minor scratches in the "flexible" part of the detachable keyboard base. (see pics 5 6). See other pics as to condition, near perfect. BOOK2 I7/1.9 4C 15 16GB 1TB GPU COMM SC. The Surface Book 2 is a versatile laptop, powerful tablet, and portable studio in one. Get more done with four modes of use. Lightweight and powerful with high performance in a laptop this size. This Keyboard is tested and works perfectly. It has the Nvidia GTX 1060 6GB Graphics Card.The top of the keyboard has no noticeable scratches. KEYBOARD BASE ONLY, NO TABLET INCLUDED. Policy covers functional defects only. • SSD Capacity: 256GB. • Model: Microsoft Surface Book 2. Great condition! Refer to pictures for further details! • Screen Size: 13.5 in. • Hard Drive Capacity: 256 GB ssd. • Storage Type: SSD (Solid State Drive). Core i7 8650U / 1.9 GHz. with keyboard dock. This is a new open box unit with extended warranty until 8/2021. Win 10 Pro 64-bit. NVIDIA GeForce GTX 1050. 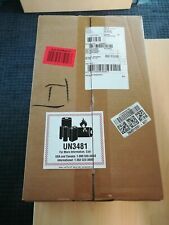 5D NO RESERVE -OPEN BOX RETAIL PACKAGING - BEST CONFIG! It is in beautiful condition with no scratches on the screen and only a few small very light scratches on the body. It has the Nvidia GTX 1060 6GB Graphics Card in the base. Policy covers functional defects only. Trending at $1,637.50eBay determines this price through a machine learned model of the product's sale prices within the last 90 days. Storage: 256GB Solid State Drive. Get ideas down fast with a backlit keyboard and a display designed for touch and Surface Pen. Powerful, durable, and lightweight: Premium design and materials make the new Surface Book 2 thin and light enough to take anywhere without sacrificing performance. 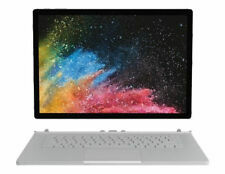 Microsoft Surface Book 2 1832 13" 256GB i5 2.6GHz. LAPTOP IS IN GOOD CONDITION AND WORKS WELL. IT HAS BEEN RESET TO FACTORY SETTINGS. Product Line Surface Book. Monitor Display Technology Touch Screen. This is a new machine directly from Microsoft. The short story is that the original Surface Book I had suffered a keyboard failure. Microsoft replaced the original computer; however, it took so long that I had to buy another because I could not be without a computer for the 3 weeks it was going to take for them to replace it so I ended up with two. Capacity: 256GB SSD. What do we refurbish?. We make sure everything in working order and reset to factory setting. Manufacturer: Microsoft. Touchscreen working fine. No Stylus Include. Keyboard: working, no missing button. Item is still under warranty from Microsoft. Works without any issue. 16GB of RAM and 512GB SSD. Make: Microsoft PC. Stylus Not Included. USB 3.0, Mini DisplayPort, SD Card Slot. Windows 10 Pro. Surface Pen Included. Used - Very Good. Then, place a new order for the item of your choice. 16GB of RAM | 256GB SSD. There are also built-in front-facing stereo speakers with Dolby audio. Crafted of premium, lightweight materials, Surface Book 2 adapts to the way you work and create. Render huge 3D files or edit 4K video in Laptop Mode. Trending at $2,176.98eBay determines this price through a machine learned model of the product's sale prices within the last 90 days. Microsoft Surface Book 2 Notebook PC. Covered by Microsoft Warranty for 1 year. The most powerful surface Laptop. A sleek, portable powerhouse with up to 17 hours of battery life. The best Surface Laptop for PC gaming. 256GB SSD (Solid State Drive). Stylus (Pen) is not included. Keyboard included. Backlit Keyboard. Unit may show normal wear and tear (Scuffs or scratches). Used, Very Good Item Condition. Windows 10 Professional. 16GB of RAM | 512GB SSD. The Silver Microsoft 15" Surface Book 2 Multi-Touch 2-in-1 Laptop is a high-performance laptop/tablet hybrid with power and versatility. With a 15" PixelSense display, the Surface Book features a 3240 x 2160 screen resolution (260 ppi) and a 3:2 aspect ratio. Microsoft Surface Book 2 15" 1TB used. This laptop was used lightly for academic work and has no dents or scuffs. Looks like new and performs well. A screen protector was applied in day 1 and manufacturer warranty ends 7/30/2019. The laptop will be with all original packaging, reset, and ready to go. If you have any questions please ask. Microsoft Surface Book 2 13.5" (1TB, Intel Core i7 8th Gen., 4.20GHz, 16GB) Lap…. Shipped with USPS Priority Mail. 8GB of RAM | 256GB SSD. Total Capacity 256GB. Cable & Adapter. Keyboard Type: Standard Notebook Keyboard. Audio 1 x 1/8" (3.5 mm) Headphone Output. Optical Drive None. Product View. And all products must be sent back to US for warranty. It is in beautiful condition with No scratches on the screen and only a few very tiny very light scratches on the casing. It has the Nvidia GTX 1050 2GB Graphics Card in the base. It is under Microsoft Warranty until August 13, 2019. Work, play, and create without limits. Experience the best of Microsoft. Surface Book 2 is a sleek, portable powerhouse. Lightweight and powerful with unprecedented performance in a laptop this size. 256GB SDD ( Solid State Drive). 8GB (1 x 8GB). One Year Microsoft warranty included. Keyboard Type. Back Light US Standard keyboard. Surface book 2 13.5". Screen Size. 13.5" Touch Screen with 3000 x 2000 Resolution.